Happy Friday!!! TGIF everyone! This week I decided to do two different #FF posts combined into one! Question: Birthday Wishes — Blow out the candles and imagine what character could pop out of your cake…who is it and what book are they from?? Answer: Hmm, this is a hard one. There are so many options to pick from! I could pick pretty much any of the Brothers from J.R.Ward's Black Dagger Brotherhood series. Man, those men are hot...and ripped! My fav pick to jump out of a cake would be Rhage featured in book #2, Lover Eternal. Rhage has a very bad side, yet he also has that "hero" thing going on. Not to meantion, he falls in the eye candy category! Question: If you could only gift one book to someone which book would it be? Answer: If I could give only one book, it'd be Minion, by L.A. Banks. Her Vampire Huntress series has been a favorite of mines for a long time now. Anyone who reads Minion will be addicted immediately and will have to read the rest of the series! And believe, as this series goes on, it gets better and better! Technically this is a YA fiction book, but probably should be classify as a Young Adult Christian fiction book. I was not expecting that because neither the book description nor any of the genres that this book was placed on goodreads.com gave any indication. I don't have an issue reading religious books, but I like to know what I'm getting into before I begin. I listed to this on audio over several days. It was entertaining and the story was light enough that I could listen and do other tasks. I picked up a free audio download courtesy of Sync YA via Overdrive. In El Paso Texas two sisters Kate & Mary Romero, 18 and 16 respectively, lives change drastically after this Pastor father dies. After their father passes they really only have each other. Thier mother has been in a persistant vegetative state for some years and requires a nurse to help care for her. OK, here's my list bookish websites! Goodreads - I've been placing my reviews on this website for a few years now. I love it. I like seeing everything that I've read in order and sortable by genre, year, author, etc. I also like using the html montages as you can see on my website. 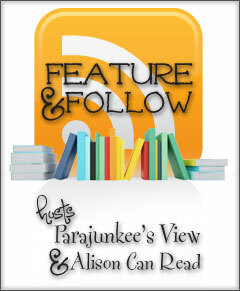 :-) It's also a great resource to read book reviews and interact with other book lovers. BookLamp - I love this site because you can enter a book title and it gives you like titles. So if you love a specific book and you want to find more books in the same category, this is the place to look. On their website, they compare themselves to Pandora, and I'd say that's pretty accurate. Shelf Awareness - Shelf Awareness is a free e-newsletter about books and the book industry. I LOVE their newsletters. So informative! Lit Lovers - I've found some really good reading discussion questions and reading guides here. Great for when you need some help for book club meetings! Edelweiss - An awesome on-line publisher catalog service. This page rocks, it has many uses. From finding new releases to new galleys. You can search by catalogs, date, publisher, subject, etc. It's pretty dynamic. Paperback Swap - If you love your paperbacks or hardcover books but don't want to spend hundreds of dollars this is a good alternative. Mostly all the books are in pretty good condition which is wonderful, I think the participants have a pretty high standard of how to keep their books. A girl in one of my book clubs uses this regularly and she said she'd never gotten a bad book. Also, this is a great option if you're trying out a new author. If you're not into swapping books, you can always borrow from your local library! 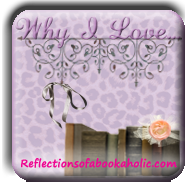 I hope that I was able to introduce you to some new helpful bookish resources! Between The Lines, by Jodi Picoult and Samantha Van Leer (YA Romance) - I have not read YA Romance before, but this seems interesting. I like Jodi Picoult's My Sisters Keeper,so I believe I'd enjoy this too. The Reckoning, by Alma Katsu (Paranormal Romance) - Just because the cover art is so captivating. Of course, I'll have to read the first book, The Taker prior to starting this one. The Golden Lily (Bloodlines Series #2), by Richelle Mead (YA Urban Fantasy) – I really enjoyed Bloodlines, so of course I have to read The Golden Lily! I read the first two chapters online for free and the story starts up pretty fast. I’m looking forward to reading this installment. No One in the World, by E. Lynn Harris, RM Johnson (AA Fiction) - I read his "Basil" series several years back and really enjoyed it. Unfotunelty, Mr. Harris died in 2009, but his work lives on. Apparently this book was found on his computer, and finished by author RM Johnson. I haven't read RM Johnson before, but I will be checking this out, for sure.